Better than new! 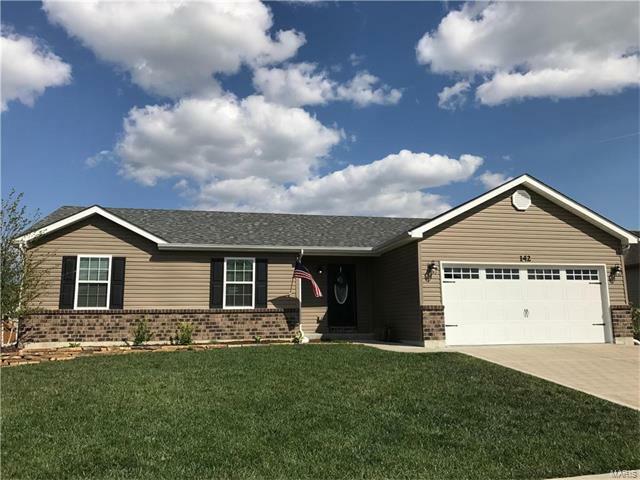 This one owner ranch has all the current premium features you are looking for without the premium price! Welcome home starting with the hand scraped wood entry to the vaulted great room. The kitchen and breakfast room have ceramic tile floors, granite counters, center isle w/breakfast bar, soft close maple cabinets, nice sized pantry and stainless appliances. The vaulted master suite offers a walk in closet and a private bath with an oversized shower and a Corian double sink vanity with tile floors. Enjoy grilling or just relaxing on the beautiful deck overlooking the fenced back yard. All the little extra’s throughout give this home the extra edge; rounded corners, canned lighting, oil rubbed bronze lever handles, horizontal 5 panel doors, 4” trim and a MFL! The walk out LL is yours for the taking with a rough-in bath just waiting to be finished! Wentzville Parkway to West Meyer to left on North Point Prairie. Turn right on Shadow Pointe Drive.